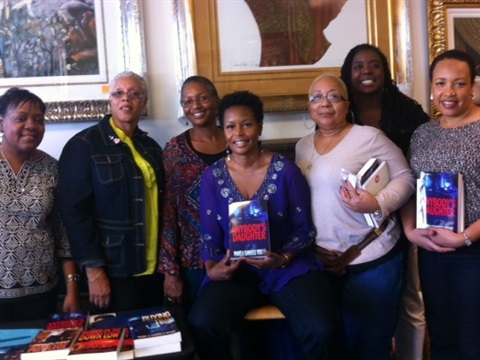 Book club members gather at a book signing for NAACP Image Winner Pamela Samuels Young. With the closing of so many of our brick and mortar stores, book clubs and authors have had to create events to support each other. 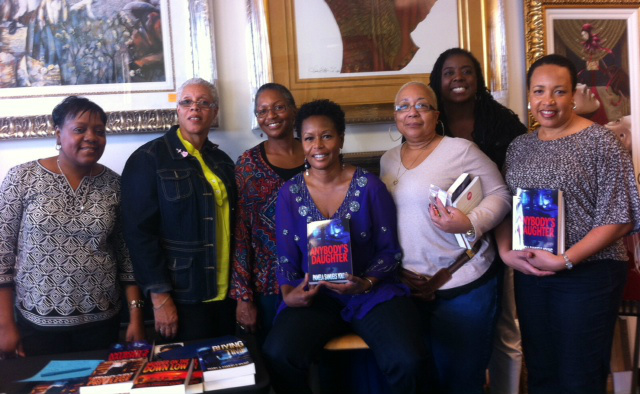 Cerece Murphy with the Reading Divas, PC Sisters, Sugar & Spice (NY) and Page Turners of Baltimore. A joint book club meeting is an excellent venue to talk, exchange ideas and celebrate literature. 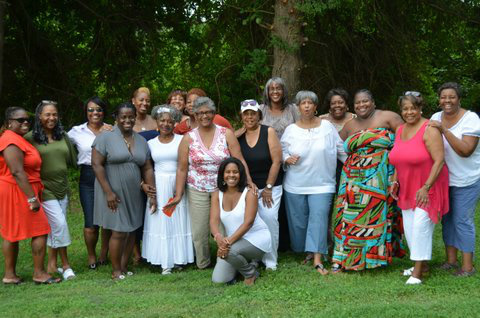 The Sugar & Spice Book Club at the 2013 Black Authors & Readers Rock Weekend! Supporting other clubs is essential. 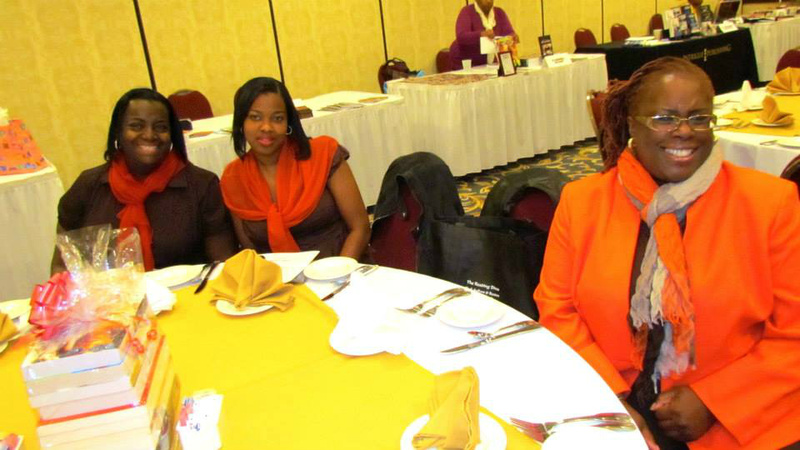 Meeting authors and networking with other readers are the highlights of such gatherings. 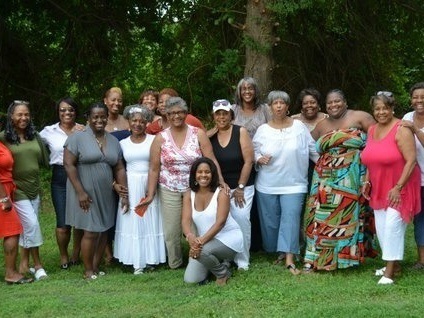 The Literary Ladies of Rahway, NJ at their Literary Luncheon. Whether we refer to it as a revolution or evolution – it is a fact that today’s book clubs have come a long way from the reading groups of yesterday. 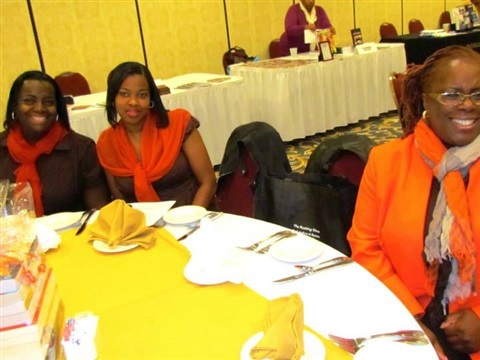 Even ten to 15 years ago, the most a book club leader was responsible for was reminding the members of the date, time, and place of the next meeting and the title of the book to be discussed. Though clubs continue to be steeped in the traditions of reading, discussing and critiquing books, book clubs are no longer tied to books in print or to meetings in homes and libraries. Today’s book club leaders direct groups who read on computers, tablets and phones; who meet on line, in coffee shops, restaurants, art galleries and via conference call; who invite authors not just into their homes, but into their meetings via Skype and phone; who oversee the planning of literary conferences, expos and outreach services in the community; and in a few instances, who have led their club to write a book of their own. 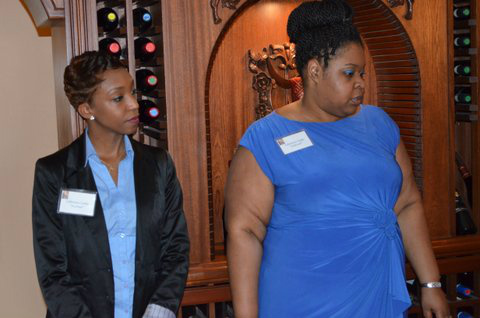 Book clubs have become small businesses that partner with authors and other literary professionals to empower, engage and enlighten their members. Leaders must be prepared to run these businesses; to guide their members to determine where the group is, where they want to go, why they want to go there, and then to direct how they can make it happen. Stepping into a leadership role can be as stressful and lonely as it is exciting and challenging and the amount of work involved can be overwhelming. Consider the words of Eugene B. Habecker who wrote in The Other Side of Leadership: “The true leader serves. Serves people. Serves their best interests, and in doing so will not always be popular, may not always impress. But because true leaders are motivated by loving concern rather than a desire for personal glory, they are willing to pay the price”. Leaders are great communicators. They ask questions, listen and weigh all sides in order to ensure that all members are treated equitably. Good leaders are sensitive to the moods of the members in order to handle situations involving sensitive matters and emotional issues. They make a habit of listening more than they talk. Leaders are honest, sincere and trustworthy; they keep confidences. It is by “walking the talk” that leaders earn the right to be given leadership responsibility. Leaders are innovators; they don’t hesitate to tackle problems and challenges and see them thru to the end; yet they are savvy enough to ask for help or to delegate when appropriate. Leaders have the courage to make changes, even when nothing seems wrong. A good leader does not place themselves above the group but rather they roll up their sleeves and get dirty along with everyone else. Successful leaders are confident, calm and prepared to act when their leadership skills are needed: Several members routinely talk on their cell phones during the meeting, even though the group has agreed not to do so; a good leader reminds them of the no cell policy and suggests that consequences be established. A member sporadically attends meetings, and when she does, she doesn’t contribute positively to the meeting; a good leader contacts the member to discuss the problems and rescinds the person’s membership if necessary. A member habitually interrupts others during the book discussion; a good leader steps in and asks that member to hold her remarks until the person speaking has finished. The group agrees to start a website, but the leader has neither the time nor the expertise to make this happen; a good leader polls the membership, identifies who can best handle this task, and then hands it off to that person but follows up to see that the job is completed. Leaders are not perfect – everyone makes mistakes – but there is no better teacher than having failed at something if you learn from the overall experience. Perceptive leaders never underestimate their influence over others because they are often imitated. I once commented that I had already read and didn’t like an upcoming read; consequently, based on my comments, most of the group either didn’t read or finish the book and the meeting was a disaster. Not only did I apologize to the group, I now consciously keep inappropriate opinions to myself. If you are truly motivated to lead but aren’t sure of or want to improve your leadership skills, take a leadership course at your local community college, or partner with another leader whom you admire, to improve your weaknesses and maximize your strengths and then join the book club revolution!